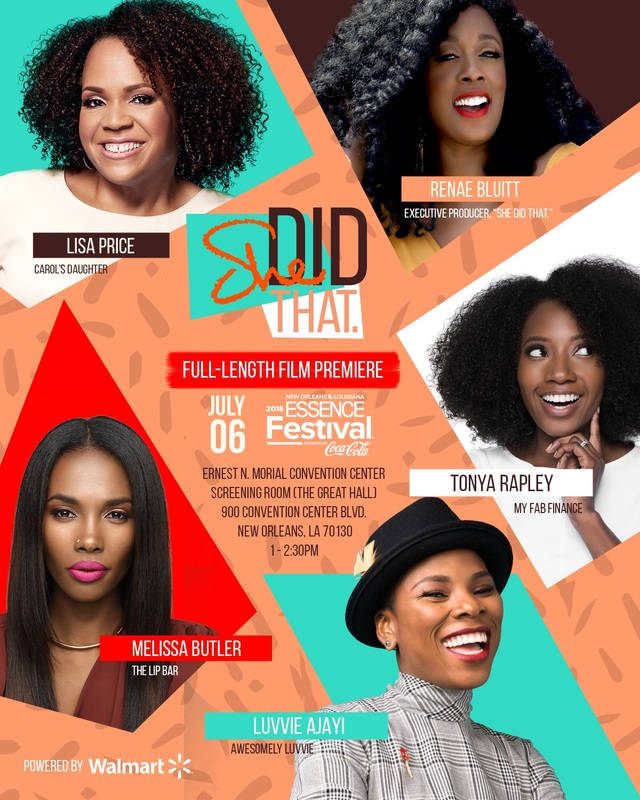 It is with immeasurable pride (and maybe a few tears) that I share my full length documentary, “She Did That.,” will premiere at ESSENCE Fest this summer! When God planted the seed for me to produce a documentary on Black women entrepreneurs, I never imagined the journey it would take me on. This project has taught me countless lessons about life that extend far beyond the art of filmmaking. There were moments when things seemed to be falling apart, but in reality, they were coming together – and quite beautifully I might add. If you’re going to be in NOLA for ESSENCE Festival, we would love to have you join us on July 6, 2018. 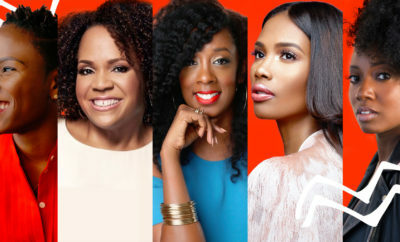 Stay close to find out who will be in the room for this special occasion powered by Walmart! 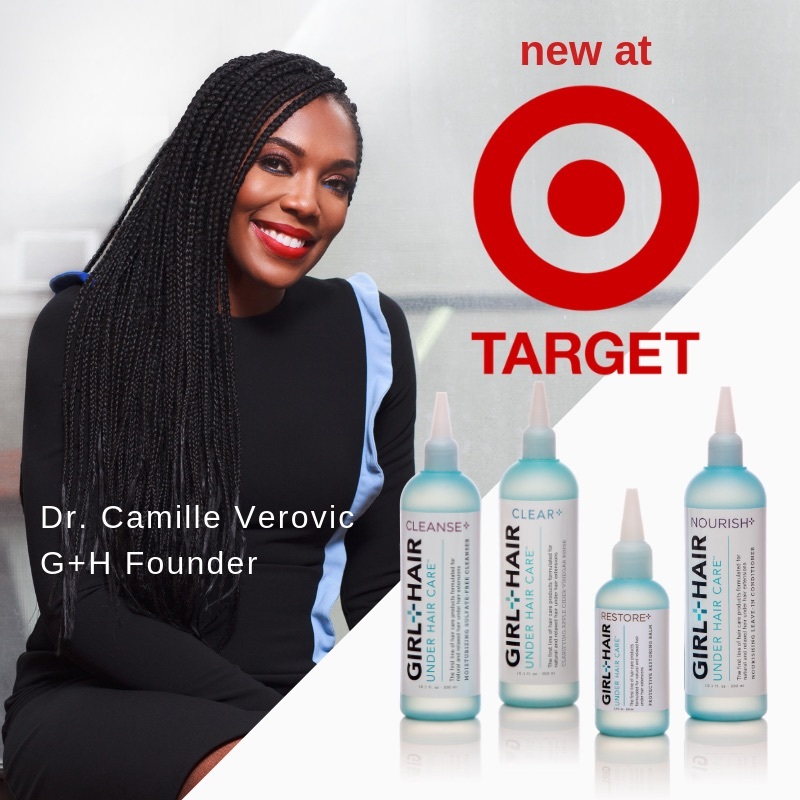 ← Previous Story Spread Love by Donating to My “She Did That.” Documentary GoFundMe Today! 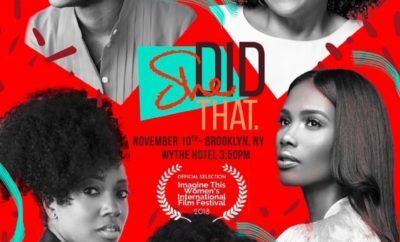 Next Story → “She Did That.” Premieres in NYC on 7.30!